Perched elegantly in what feels like the center of the Saint-Jean-Cap-Ferrat peninsula is Villa Ephrussi de Rothschild and its magnificent gardens. 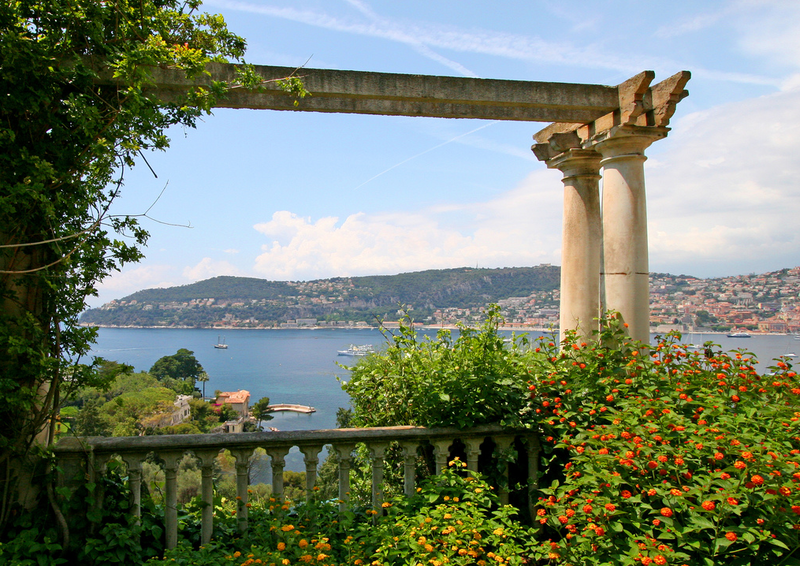 So immense is this estate, it can be seen from miles around. 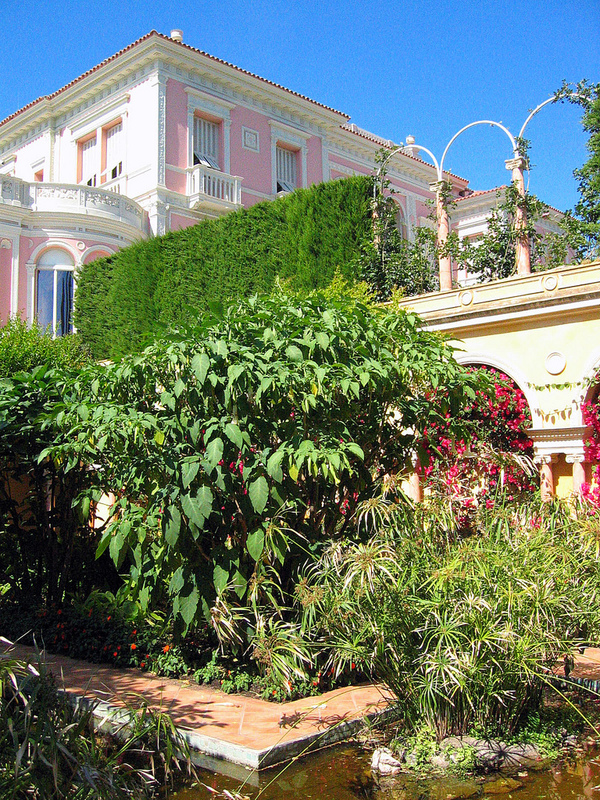 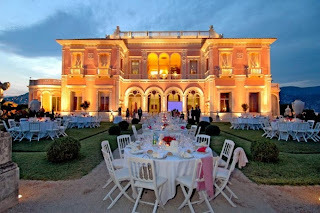 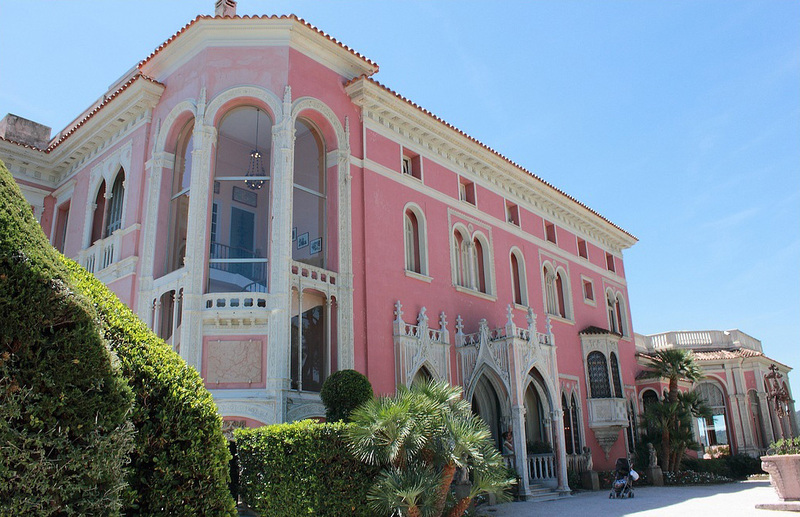 The villa’s prominence on Cap Ferrat can be attributed to the character of the individual who built it, the wealthy French socialite, Baroness Beatrice Ephrussi de Rothschild. 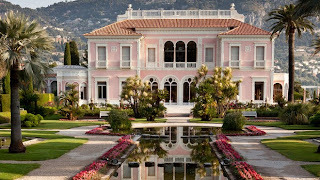 In short, at the end of a rocky marriage and after the death of her father in 1905, she and her brother inherited a fortune estimated at €700 million. 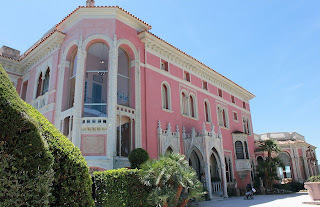 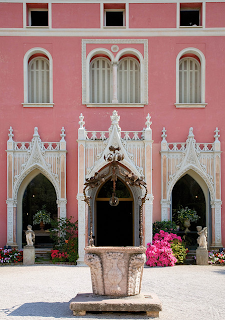 This helped enable her passions for art and architecture as she saw fit, so between the years of 1905 and 1912 she had the villa constructed (painted in her favorite color - flamingo pink) with its surrounding gardens laid out to look like that of a luxury cruise liner. 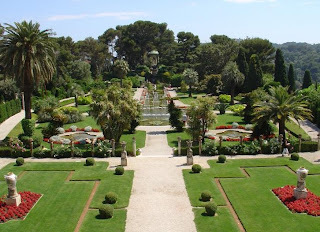 Beatrice even insisted her gardeners wear blue naval berets when working on the grounds so that they resembled sailors working on the decks of a ship. 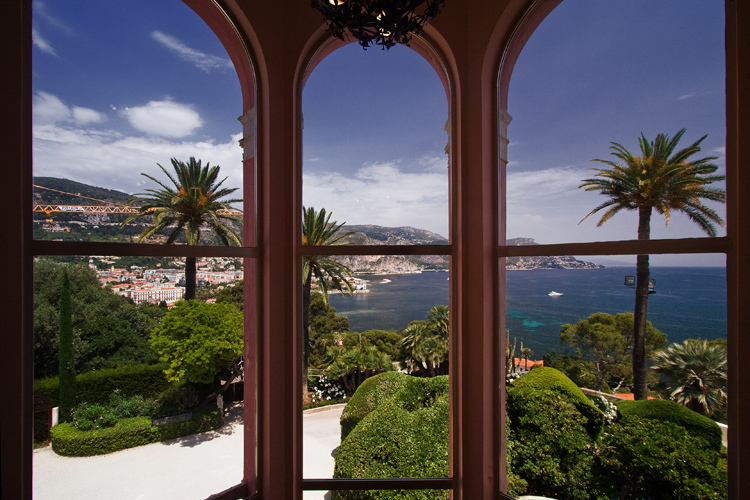 Given the different levels of the gardens, from the upper balcony of the villa one can see how she imagined this for herself. 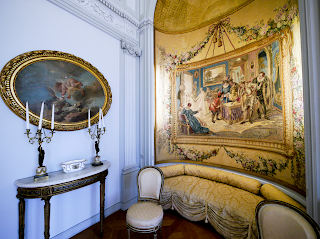 Eccentric is not a big enough word for this interesting woman yet the estate is surprisingly well decorated for the time period and not as ostentatious as one might expect, each room seems to have a defined meaning and purpose behind it. Beatrice died in April of 1934 at the age of 69 from tuberculosis, having no heirs she left everything to L’Institut de France which then made the estate permanently open to the public. 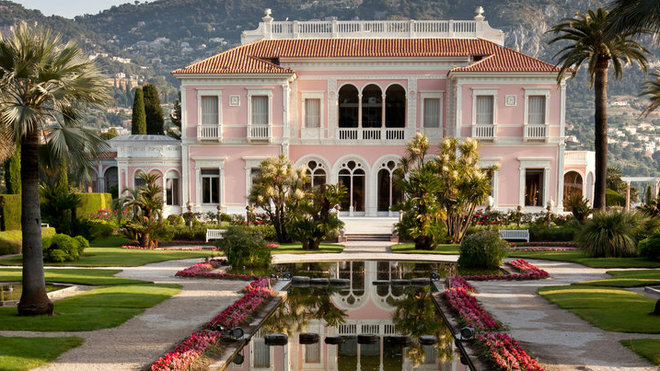 Stepping on to the Villa Ephrussi de Rothschild estate is like stepping into a fairy tale land. 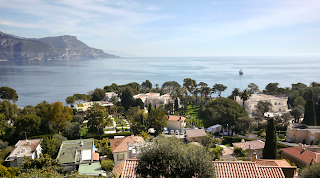 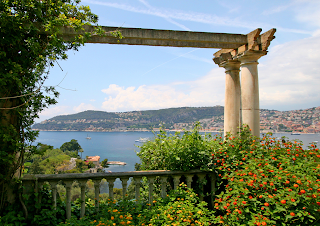 Views alone from this vantage point on Cap Ferrat are worth the small price of admission. 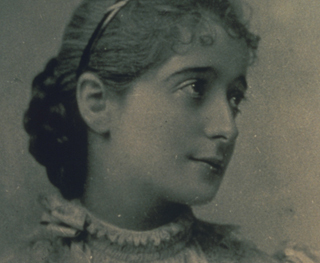 Beatrice was obviously a woman with an artistic vision. 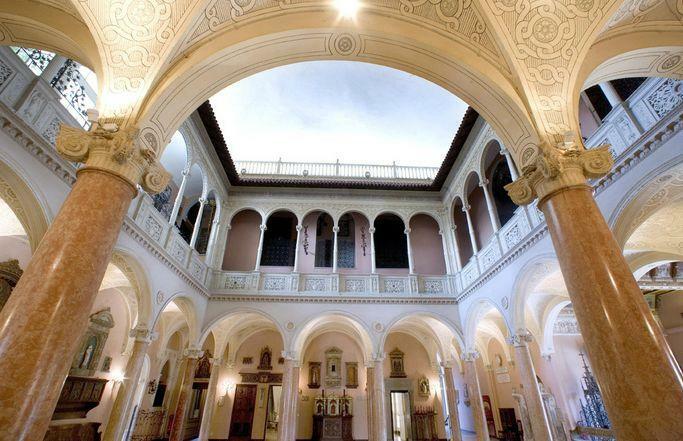 If you are a historic architectural buff like me, you will notice immediately the many minute design nuances that are delicately integrated within the impressive structure, especially when you take the time to learn about the process in which the villa was built to Beatrice’s exacting measurements. 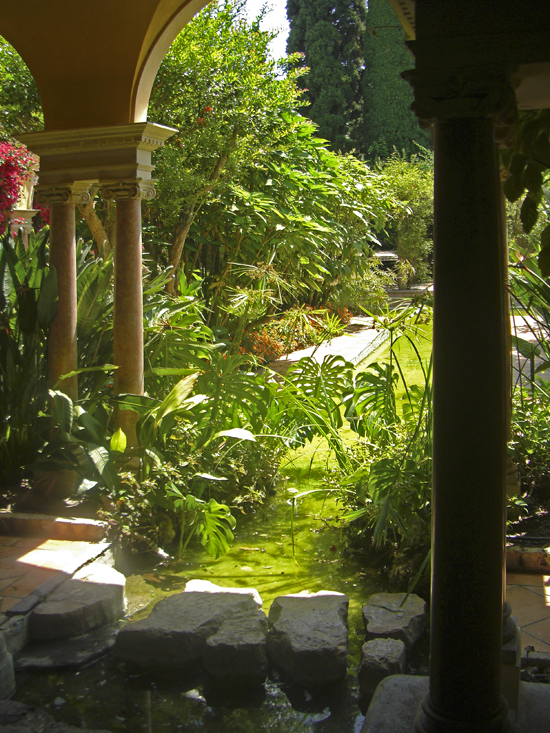 The open air courtyard in the middle of the villa lets you imagine what it must have been like back in the day at one of her social events and where now one can rent out part of the villa for weddings and other such events. Even in the main garden, small musical festivals are a regular occurrence on a summer evening. 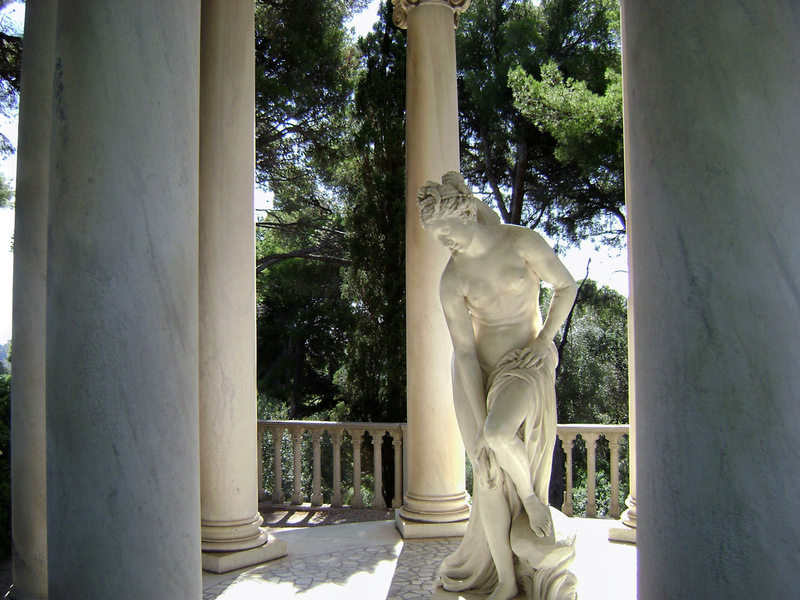 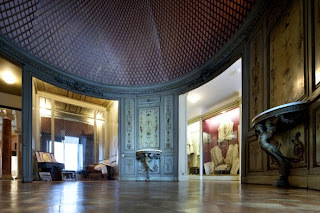 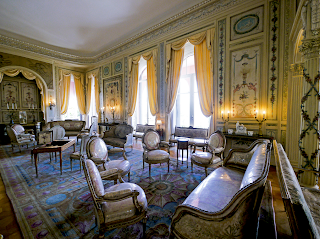 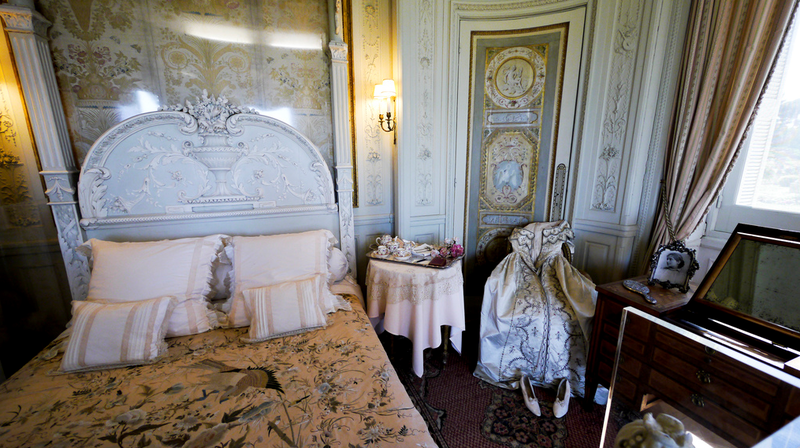 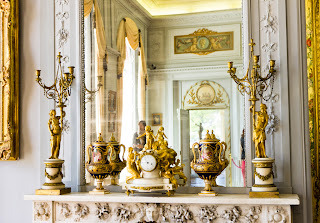 While exploring the estate you can listen to an audio guide about each room that you enter, one thing that is not mentioned in the audio but is still well known today in the French Riviera is that although Beatrice was married at one point, it is also believed she was a lesbian given her vast collection of Greek and Roman goddesses so be sure to see what exactly her collection represented. 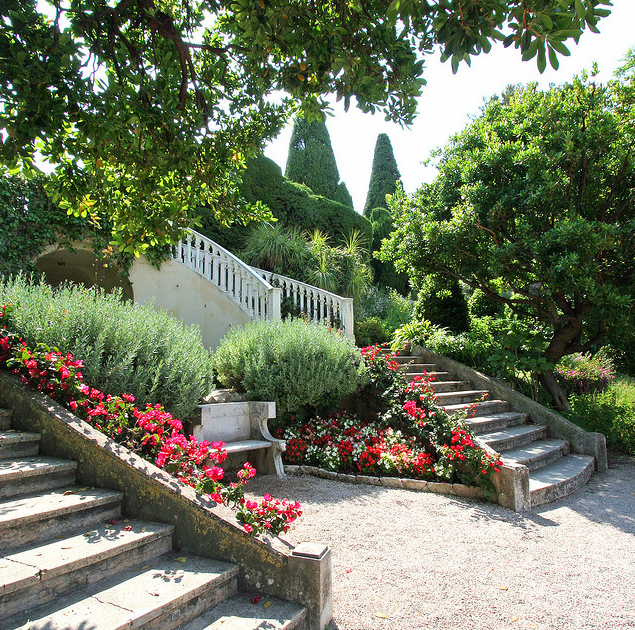 Surrounding the villa is nine exquisite gardens built on what was once a very rough terrain; you will find the gardens suit everyone’s taste. 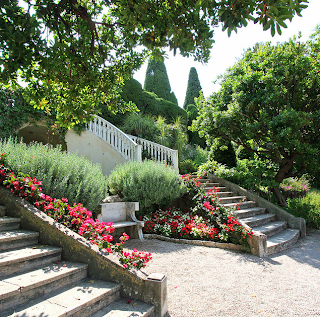 Provencal, Japanese, Florentine…even the rose garden has 100 different varieties of roses. 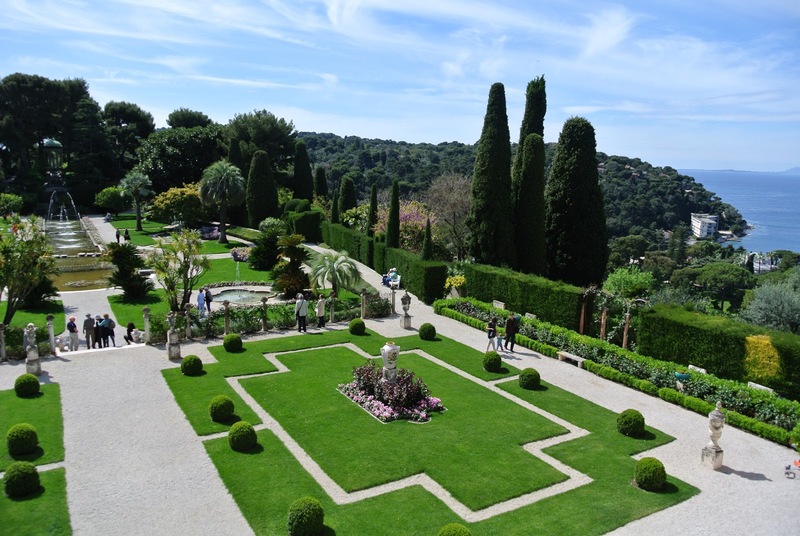 All these lush gardens nicely intertwine and are dotted with classical statues and grand stairways, the manicured trails are a lovely way to explore the grounds. 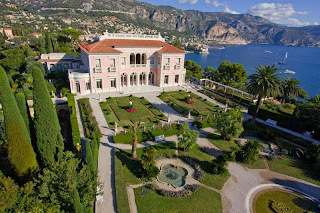 The Villa Ephrussi de Rothschild estate is easily accessible by car and there is also a bus stop right outside the grounds as well. If coming by train, I would go to the Beaulieu-sur-Mer train station and walk the couple of blocks down towards the coast as the estate is only a pleasant 25 minute walk away, just follow the posted signage. Make sure to give yourself more than an hour to visit the Villa Ephrussi de Rothschild estate as there is a lot of area to cover, it makes for a great afternoon and feels as though you are in a wonderful bygone era.